If you’re looking for natural ways to lower your blood sugar, you’re not alone. While diabetes affects some 30.3 million American adults, another 84.1 million have prediabetes. Prediabetes and its close cousin metabolic syndrome can lead to type 2 (adult-onset) diabetes when a person does not make dietary and lifestyle changes. These numbers do not include women with gestational diabetes — glucose intolerance that comes on during pregnancy — or people who suffer from occasional blood-sugar swings. When you add all of those together, you have a huge number of people wondering how to manage the symptoms of high blood sugar. Did you know that there are natural, non-invasive ways to maintain steady blood sugar? The following tips offer a great place to start. We’ll discuss the top foods that lower blood sugar, foods to avoid, and supplements. But first, you should understand the different forms of diabetes. Type 1 Diabetes: In this condition, also called juvenile diabetes, the pancreas produces little or no insulin. Insulin is a hormone that allows glucose to enter cells and make energy. This type is usually diagnosed in children under 18 and is a lifelong condition. Although individuals with type 1 diabetes must take insulin, blood sugar can still be managed through healthful dietary choices and other natural methods. Type 2 Diabetes: In type 2 or adult-onset diabetes, the body doesn’t respond to insulin as well as it should, and over time the pancreas may not produce enough. This form is usually brought on by poor dietary and lifestyle habits. If not managed well through diet changes, increased exercise, and other lifestyle modifications, type 2 diabetes can lead to further health complications. Prediabetes: People with prediabetes have blood sugar levels that are higher than normal but not in the diabetes range; they are at increased risk of heart disease, stroke, and type 2 diabetes. Adopting a healthy lifestyle can often reverse the course of prediabetes and send people back into the normal range. Metabolic Syndrome: This condition involves a group of risk factors that can increase the risk of heart disease, diabetes, and stroke — including high blood sugar, high blood pressure, excess fat around the waist, high triglyceride levels, and abnormal cholesterol levels. 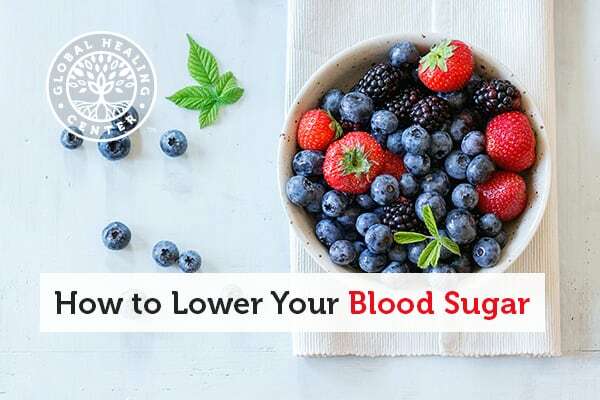 Whether you have diabetes or have blood sugar levels you want to control for other reasons, a healthful diet, plenty of exercise, and other healthy-lifestyle measures, as outlined below, are great natural ways to lower blood sugar. Always consult with your healthcare provider if you have a specific condition and want to see how these actions might affect you. Staying active can help control your blood sugar. This is not just true for people who are overweight; a 2017 study showed that in normal-weight adults, less physical activity resulted in higher blood sugar. Increasing your physical activity to about 150 minutes a week of moderate exercise (about 30 minutes a day, five days a week) can help. Alternatively, brief spurts of high-intensity exercise — such as 30 seconds of sprinting, followed by walking or slow jogging — can help to lower blood sugar for one to three days, according to one study. Drinking enough liquids is an easy way to help lower blood sugar. When you get dehydrated, it concentrates the sugars in your blood, raising your glucose levels. Avoid soda and sugary drinks, and instead, choose distilled water with a squeeze of lemon. Aim for at least eight glasses of water per day, or up to half your weight in ounces (if you weigh 200 pounds, drink 100 ounces per day). This amount can include other healthy beverages that keep you hydrated while keeping your blood sugar at a normal level. Be sure to not drink more than 27 to 33 ounces in one hour to avoid stressing the kidneys. Studies show that moderate weight loss can result in lower blood glucose levels in overweight and obese people. As a result, healthcare providers will often recommend losing weight as a treatment strategy for type 2 diabetes. By losing between 5 and 10 percent of their body weight, people with either prediabetes or metabolic syndrome may reduce their risk of developing type 2 diabetes by 58 percent. If you are interested in losing a few pounds, check out our tips for weight loss article. When you’re under stress, your body creates the hormone cortisol, which stimulates glucose production. This cortisol gets used for energy in your body’s fight-or-flight response. If you experience constant or regular stress, it can raise your blood glucose levels. In contrast, when you reduce your stress, your blood sugar levels can normalize. Read up on our techniques for reducing your exposure to environmental stressors. 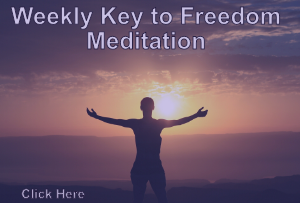 Some suggestions include taking regular time out to relax each day, going for walks outdoors, using aromatherapy, or learning a relaxation technique such as meditation, mindfulness, or yoga. The nicotine in cigarettes makes your body more resistant to insulin. When your body does not respond properly to insulin, blood sugar levels go up. Studies show that smokers with diabetes need a larger dose of insulin to control their blood glucose level. By quitting smoking, you can give your body a chance to avoid the damaging effects of high blood sugar — among all the other health benefits you will see from eliminating this bad habit. Some studies link sleep deprivation with higher blood sugar levels. Interestingly, both sleeping too little or sleeping too much can raise blood glucose. In one study of over 4,800 people with type 2 diabetes, people who slept less than 4.5 hours and more than 8.5 hours a night had higher A1C levels (average blood sugar levels in a 2-3 month period) than those who slept between 6.5 and 7.4 hours a night. For your best bet, aim for close to 8 hours of shut-eye each night. Choose Lean Proteins: Eat plant-based proteins such as beans, legumes, and nuts. A plant-based diet will give you optimal health, reducing your risk for various diseases. While we advocate a raw, vegan diet, we understand that not everyone will adopt this lifestyle. If you’re going to consume animal products, opt for lean protein choices such as poultry and fish instead of red meat. Divide Your Plate: At meals, divide your plate so that it is half non-starchy vegetables, one-quarter lean protein, and one-quarter high-fiber-containing complex carbohydrates, such as brown rice or quinoa. Most vegetables will fill you up because they are loaded with fiber and water. Lean proteins will also provide a feeling of satiety. The following foods are lower on the glycemic index than other dietary choices, which means they will not spike your blood sugar and are also healthier in the long term as part of your daily wellness regimen. Whole Grains: When you eat whole grains, your blood sugar level rises more slowly after a meal than it does after eating refined grains, because the fiber in whole grains slows the digestion of carbohydrates. If you eat white bread or pasta, replace them with whole-grain varieties. Swap out white rice for brown rice, and expand your repertoire of grains by trying quinoa, barley, or teff. For breakfast, try whole oats — not the instant varieties, which may reduce glucose and insulin after a meal. Leafy Greens: All non-starchy vegetables can help to lower blood sugar, but some studies show that leafy greens are especially helpful and can even reduce the risk of type 2 diabetes. In addition to your favorite salad greens, branch out with spinach, kale, chard, collards, and bok choy. Avocados: Avocados are very low in sugar and low in carbohydrates, making them excellent at controlling blood sugar spikes. Avocados also contain healthy, monounsaturated fats, which studies show can help improve blood sugar regulation. Nuts: Filled with healthy fats yet low in carbohydrates, nuts can help keep your blood sugar steady. One study found that tree nuts in particular — such as almonds, cashews, walnuts, and pistachios — improve glycemic control in people with Type 2 diabetes. Legumes: Legumes — such as lentils, chickpeas, beans, and peas — are foods high in fiber and low in fat. One study found that individuals who ate 3–4 servings of legumes a week had a 35 percent lower risk of developing type 2 diabetes. Apple Cider Vinegar: Where blood sugar is concerned, the jury is out on apple cider vinegar, which some studies find effective at lowering blood sugar after meals. Yet, other studies have found that apple cider could negatively impact glycemic control. There are several foods that you should avoid to maintain a normal, steady blood sugar level. Sugar: It may seem obvious to avoid sugar, which makes blood glucose spike — yet sugar is hidden in many foods including bacon, ketchup, and fruit juice, and takes a bit of detective work to root out. Become a food label reader and avoid foods and drinks with added sugars. High-Fat Foods: Eating a diet high in fat, particularly saturated fats, can raise blood sugar levels, according to many studies. Stick to moderate consumption of healthier fats, like those found in coconut oil, olive oil and avocados, and keep an eye on your total fat intake to keep your blood sugar in check. Refined Carbohydrates: Refined carbs such as white bread, pasta, white rice, and potatoes are high-glycemic and can lead to a rapid rise in blood sugar levels. Replace them with whole grains, which are absorbed more slowly into the bloodstream and also contain more fiber, vitamins and minerals. Processed Food: Often filled with added sugars and refined carbohydrates, many types of processed food have high glycemic values. Read labels carefully to steer clear of high-fructose corn syrup and other added sugars that make blood glucose spike. Some supplements, including herbs and vitamins, can naturally promote normal blood sugar levels. Ginseng: A few studies show that American ginseng may help to prevent hyperglycemia and control blood glucose. More studies are needed, but adding a ginseng supplement to a healthy diet may be beneficial for blood sugar control. Fenugreek: Some studies show that fenugreek may help to keep blood sugar in check. Try taking 50 grams of fenugreek-seed powder twice daily to aid in lowering blood sugar. Vitamin D: Research into the effects of vitamin D on blood glucose levels is intriguing. Studies show that people who are deficient in vitamin D may have higher blood glucose levels and that taking a vitamin D supplement may help normalize blood glucose levels. Blood sugar can spike if you overeat, eat high-glycemic foods, don’t exercise enough, or — if you are diabetic — when you miss taking your diabetes medicine (insulin). High blood sugar can also be a side effect of certain medications. When high blood sugar is a long-term or frequent condition, it can have harmful effects including damage to nerves, blood vessels, and organs. Normal blood sugar levels vary from 80 mg/dl to 200 mg/dl, depending largely on when you last ate. In the morning, before you eat breakfast after having gone the night without eating, it’s typically at its lowest. Conversely, right after eating a meal is when it’s typically at its highest. Postprandial blood sugar, which is measured about two hours after a meal is also an important indicator. Fasting blood sugar over 100 mg/dl can indicate prediabetes; over 126 mg/dl is considered diabetic. Diabetes can be confirmed with a hemoglobin A1C test that measures your average blood sugar level for the past two to three months. Also, dangerous, hypoglycemia, or low blood sugar, happens when glucose in the blood drops below 70 mg/dl. Your healthcare provider can check your blood sugar by pricking your finger with a lancing device to get a drop of blood. Apply the drop of blood to the glucose test strip to see your level. Doctors may also do a urine test, but they are not as accurate as a blood test. However, a urine test can accurately measure ketones, a byproduct your body produces when it burns fat for energy. Your body makes ketones when there is not enough insulin to help the body use sugar for energy. Ask your doctor if you need a separate test to measure ketones. When it comes to lowering your blood sugar, adopting the basic tenants of a healthy lifestyle will have a significant effect — including eating a healthy diet, staying active, getting enough sleep, avoiding stress, keeping hydrated, quitting smoking, and maintaining a healthy body weight. Ginseng, fenugreek, and vitamin D are great supplements to normalize blood sugar levels, as are whole grains, leafy greens, avocados, nuts, and legumes. Be sure to also avoid sugar, starchy carbs, and other high-glycemic foods because they will raise your blood sugar. Mainous AG 3rd, Tanner RJ, Anton SD, Jo A, Luetke MC. “Physical Activity and Abnormal Blood Glucose Among Healthy Weight Adults.” ; Am J Prev Med. 2017 Jul;53(1):42-47. Adams OP. “The impact of brief high-intensity exercise on blood glucose levels.” Diabetes Metab Syndr Obes. 2013;6:113-22. Franz MJ, Boucher JL, Rutten-Ramos S, VanWormer JJ. “Lifestyle weight-loss intervention outcomes in overweight and obese adults with type 2 diabetes: a systematic review and meta-analysis of randomized clinical trials.” J Acad Nutr Diet. 2015 Sep;115(9):1447-63. Bajaj M. “Nicotine and Insulin Resistance: When the Smoke Clears.” Diabetes. 2012 Dec;61(12):3078-3080. Ohkuma T, et al. “Impact of sleep duration on obesity and the glycemic level in patients with type 2 diabetes: the Fukuoka Diabetes Registry.” Diabetes Care. 2013 Mar;36(3):611-7. Qingtao Hou, et al. “The Metabolic Effects of Oats Intake in Patients with Type 2 Diabetes: A Systematic Review and Meta-Analysis. Nutrients.” 2015 Dec; 7(12): 10369–10387. Carter P et al. “Fruit and vegetable intake and incidence of type 2 diabetes mellitus: systematic review and meta-analysis.” BMJ 2010;341:c4229. Imamura F, Micha R, Wu JHY, de Oliveira Otto MC, Otite FO, Abioye AI, et al. (2016). “Effects of Saturated Fat, Polyunsaturated Fat, Monounsaturated Fat, and Carbohydrate on GlucoseInsulin Homeostasis: A Systematic Review and Metaanalysis of Randomised Controlled Feeding Trials.” PLoS Med 13(7): e1002087. Viguiliouk E, Kendall CW, et al. “Effect of tree nuts on glycemic control in diabetes: a systematic review and meta-analysis of randomized controlled dietary trials.” PLoS One. 2014 Jul 30;9(7):e103376. Becerra-Tomás N, et al. “Legume consumption is inversely associated with type 2 diabetes incidence in adults: A prospective assessment from the PREDIMED study.” Clin Nutr. 2018 Jun;37(3):906-913. Johnston CS, Kim CM, Buller AJ. “Vinegar improves insulin sensitivity to a high-carbohydrate meal in subjects with insulin resistance or type 2 diabetes.” Diabetes Care. 2004 Jan;27(1):281-2. Harding AH, et al. “Fat consumption and HbA(1c) levels: the EPIC-Norfolk study.” Diabetes Care. 2001 Nov;24(11):1911-6. Sen S, Querques MA, Chakrabarti S. “North American Ginseng (Panax quinquefolius) prevents hyperglycemia and associated pancreatic abnormalities in diabetes.” J Med Food. 2013 Jul;16(7):587-92. Madar Z, Abel R, Samish S, Arad J. “Glucose-lowering effect of fenugreek in non-insulin dependent diabetics.” Eur J Clin Nutr. 1988 Jan;42(1):51-4. Yousefi Rad E, et al. “The Effects of Vitamin D Supplementation on Glucose Control and Insulin Resistance in Patients with Diabetes Type 2: A Randomized Clinical Trial Study,” Iran J Public Health. 2014 Dec;43(12):1651-6. And type 1.5 diabetes or Latent Autoimmune Diabetes in Adults (LADA) – which in my case was caused by autoimmune issues most likely related to gluten intolerance, stress from being bombarded with cortisol, and a low vitamin D level. Type 1 and type 1.5 diabetes are in the autoimmune disease spectrum along with MS and other nasty things and are on the rise due to the unnatural and stressful way alot of us live these days and the awful crap we eat and drink. Look at all the $$ being made by pharmacuetical companies on diseases like diabetes and cancer – think it’s a co-incidence? I sure don’t.